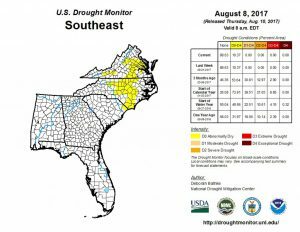 The latest Drought Monitor shows that abnormally dry conditions have now expanded into South Carolina as well as increasing in North Carolina and Virginia. Other areas of Georgia are also quite dry from a long dry spell with little rain, but have not yet reached abnormally dry levels. The latest Drought Monitor shows that rain has caused minor improvements in the abnormally dry conditions found in North Carolina and Virginia this week. 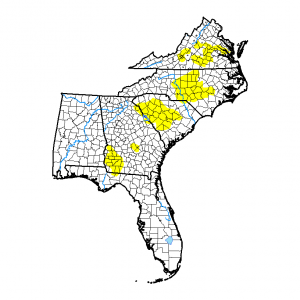 The rest of the Southeast remains free of any drought or abnormally dry conditions. The latest Drought Monitor released today shows no changes from last week, including the areas of abnormally dry conditions in Virginia and North and South Carolina. The latest Drought Monitor map shows that due to extremely dry conditions along the Piedmont and surrounding regions in Virginia, North Carolina and far northeast South Carolina, abnormally dry conditions have expanded. 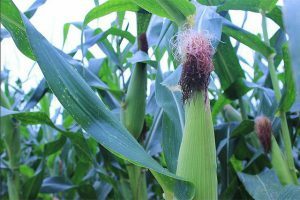 The rest of the Southeast has received abundant rain and no dry conditions are present. Video: How is drought assessed in the US? If you’ve ever wondered how the Drought Monitor comes up with the drought designations it does, you might be interested in this four-minute video showing the process. A lot of input is gathered before the final map is drawn. You can view it at https://www.youtube.com/watch?v=Xo1Jyzba7rA. 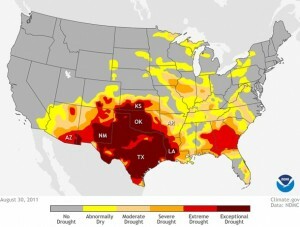 Posted in Drought, Interesting weather images, Sources of weather and climate data.